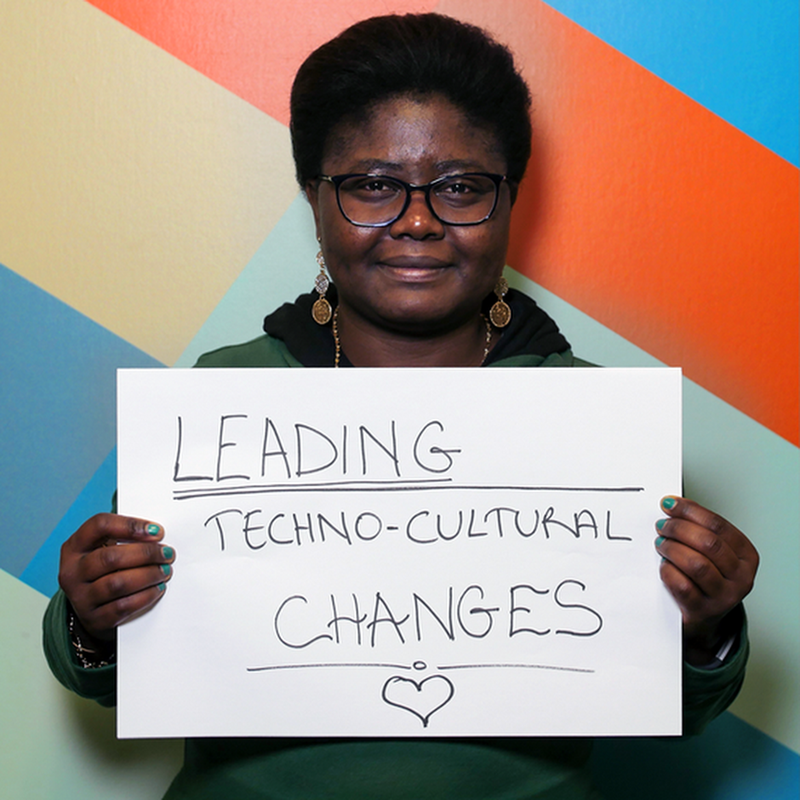 Last month we asked women across our team to share what they’re working on, and I was inspired by the range of cool projects, from building submarine cable systems to helping developers create immersive games with real location data from Google Maps. While scrolling through Twitter in the evenings, the #TodayIAm pics always made me smile. They reminded me of how many different ways women are contributing to building great customer experiences with Google Cloud technology. Lisa Bickford is a program manager at Google Cloud. 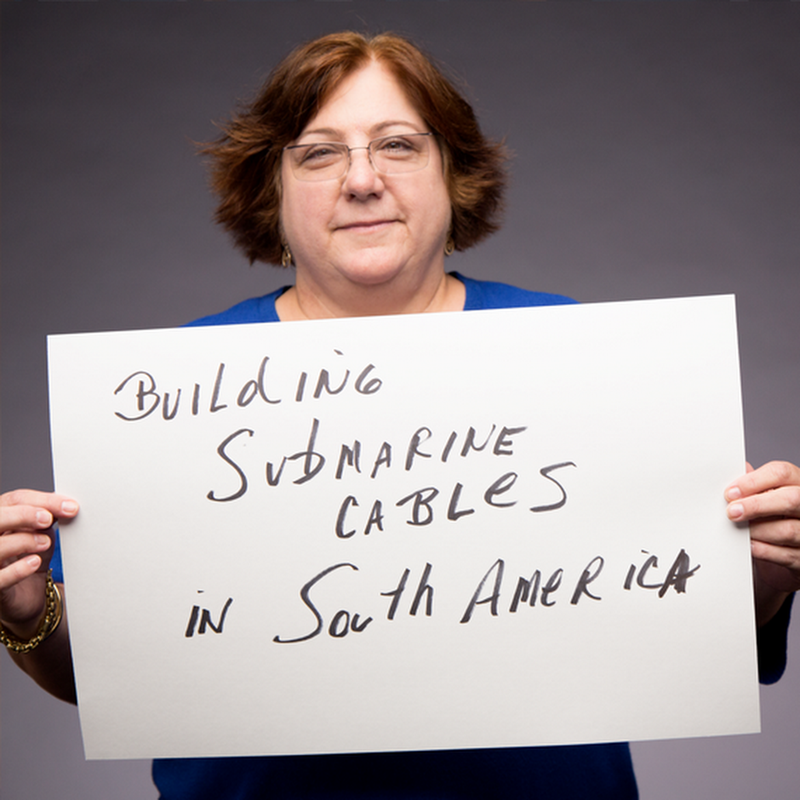 She’s building submarine cable systems in South America. This new network infrastructure will help connect the next billion users to Google. Advice that’s helped Lisa: I like to reference Teddy Roosevelt's The Man in the Arena: “It’s not the critic who counts, but credit belongs to the man who is actually in the arena.” Gender notwithstanding, I take this quote to heart each day. Lisa’s advice: Own your knowledge, own your ability and take your seat at the table. You might be the only woman there sometimes, but not for long. Annie Ma-Weaver is a strategic technology partner manager at Google. 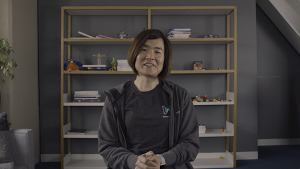 She’s helping large companies, especially in industries like healthcare, financial services and retail, solve complex business problems using the cloud. Advice that’s helped Annie: A former colleague told me to know my stuff like an entrepreneur. It’s not enough to know one part of the business well—it’s better to understand the entire end-to-end process. This mindset helps me obtain the depth of knowledge and discipline to work cross-functionally. It also helps me advocate for our customers and ease bottlenecks. Annie’s advice: Raise your hand for projects that stretch your ability. I often fight with my imposter syndrome when I'm presented with a new technical challenge. I’ll think to myself that I'm not familiar with the technical stack or the players involved, but I always push myself to volunteer anyway. The beauty of technology is that it's always changing, so most people are learning as they go. You can pick up new technical knowledge through online learning modules and meeting with specialists both inside and outside of your company. Taking on stretch opportunities is a great way to keep your skill set fresh and help you advance your career in technology. Ritcha Ranjan is a product manager at Google. 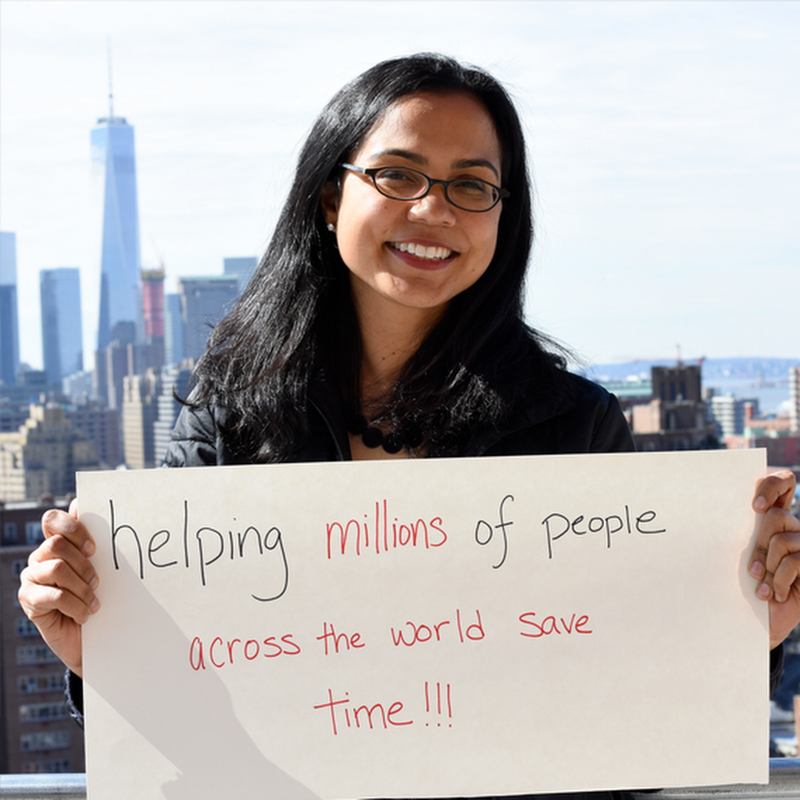 She’s helping millions of people across the world save time at work by bringing machine intelligence into Docs, Sheets and Slides. 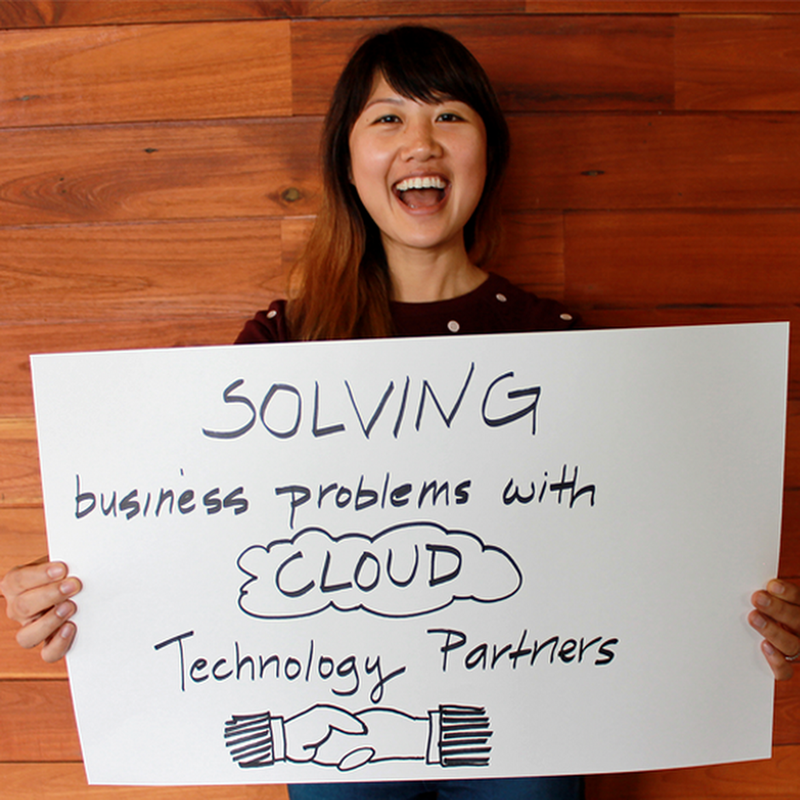 Her team is democratizing Google technology for businesses—reducing 10+ steps to accomplish tasks to a single click. Advice that’s helped Ritcha: There is a big difference between a “mentor” and a “sponsor.” Sponsors are willing to take a bet on you and tie their success to yours—like offering you a stretch project or recommending you for a new role. A strong network of sponsors can play a critical part in accelerating your career. Ritcha’s advice: Always be optimistic. There are a million reasons why something can't be done. Find the way it can be done and make it happen! Also, don't be afraid to negotiate on your own behalf. You need to be your best advocate (I'm still learning this one). Larisse Voufo Douangny is a software engineer at Google Cloud. She’s improving performance testing for compiler releases. She independently designed and implemented “GenBench,” a product that helps her team work around legacy systems and better calibrate releases. Advice that’s helped Larisse: Just be you and be proud of your accomplishments. Larisse’s advice: Again, don’t be afraid to be yourself and to follow your passion with confidence. Clementine Jacoby is an associate product manager at Google Maps. 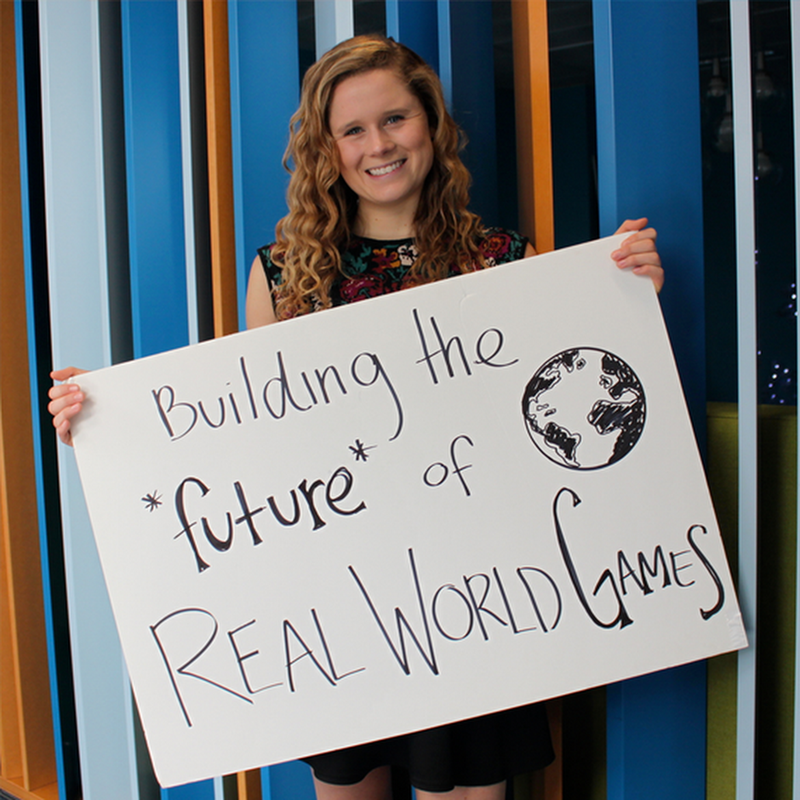 She’s building the future of real-world games by helping developers create immersive, global games with real location data. Advice that’s helped Clementine: Distrust your own sense of what’s feasible. When you have two equally exciting choices, find a way to try both. I’ve always been intrigued by shiny opportunities, which would often bring me to forks in the road. A software engineering internship or a full-time circus gig in Brazil? Anthropology research in Tanzania or recording pop music in Sweden? Cognitive science or tech? Starting with the assumption that I’d “do both” was a paradigm shift. It has saved me countless hours of analysis paralysis. The best way to compare opportunities—especially big, important ones—is to try them on for size. Trying a few steps of “both” is often enough and the right choice becomes obvious. Plus, we’re capable of more than we think we are. Opportunities that energize and expand our capacity make us better. Clementine’s advice: Do both. Chase the things that excite you—prune later. And by the way, we’re hiring at Google Cloud across engineering, marketing, technical writing and many other functions. If you’re looking to make a leap in your career, apply. We’d love to hear from you!